Research has examined how kids are using the internet. Photo by Annie Spratt on Unsplash. What do Australian children think of the internet, and how do they use it in their every day lives? 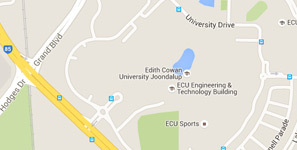 Thanks to Edith Cowan University (ECU) research, we now know the answer. The 2010 AU Kids Online project interviewed 400 children aged 9 to 16 and their parents or caregiver, randomly selected from 40 federal electoral districts. It was the first time that such data was gathered to directly compare it with the online experiences of children in other countries, and has proven an immensely influential piece of research. That project and its widely published findings led to further applied research in the field, including the AU Kids Online project. This work has contributed to wide-ranging policy and practice changes in Australia, and jurisdictions around the world. This ECU research has since been used to underpin several national reviews, including the 2011 Convergence Review, and the 2012 Review of the National Classification Scheme. Background evidence by ECU researchers helped to justify the establishment of Australia’s first eSafety Commissioner in 2015. In a time where the rise in digital technologies has brought new concerns and challenges relating to children’s safety, ECU’s work has highlighted the positive engagements young people have online. The research has generated substantial public engagement on topics including kids and smartphones, and how parents can better negotiate their children’s interactions with the internet and gaming. It is estimated that media coverage of ECU’s research has reached 1.5 million people in Australia alone. Professor Green was appointed a founding International Advisory Panel member for the European Commission’s Safer Internet Programme project EU Kids Online, which established the protocols and parameters for the subsequent Australian analysis.